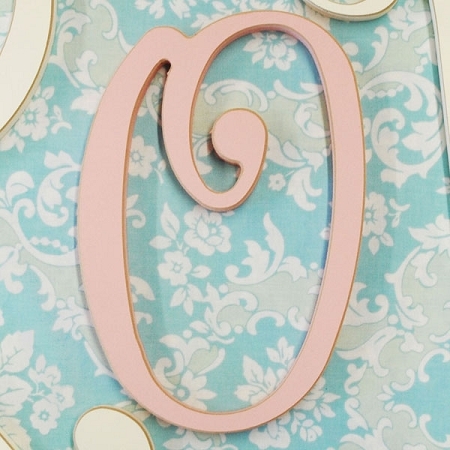 Our Storybook Wooden Wall Letters are fun and whimsical! 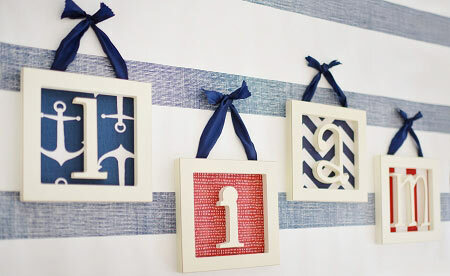 Perfect for your nursery, child's room or playroom. 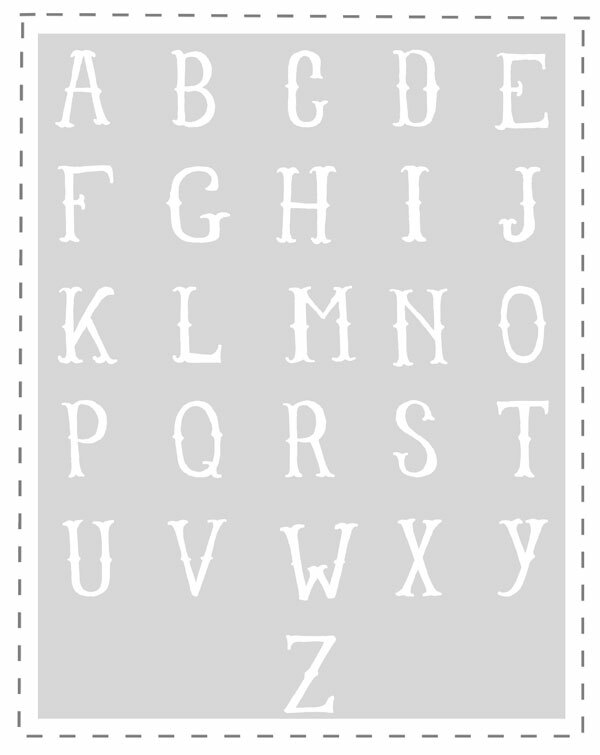 Spell out a name or special phrase. 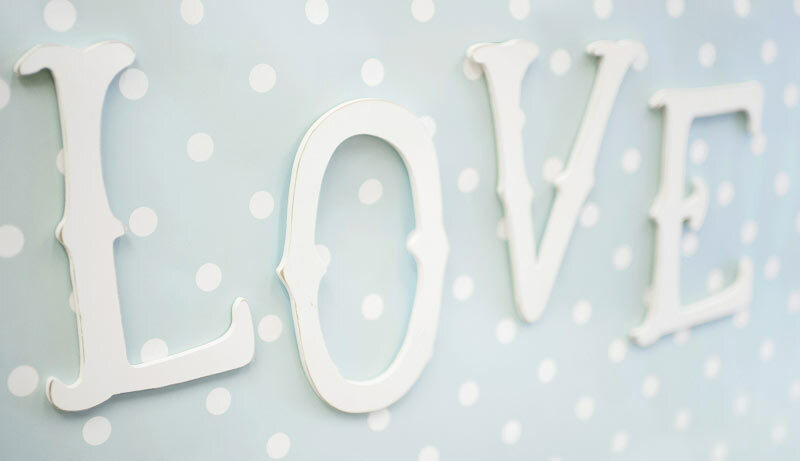 Letters are hand painted in white with slightly distressed edges. Dimensions: approximately 9" tall, 13" including ribbon. 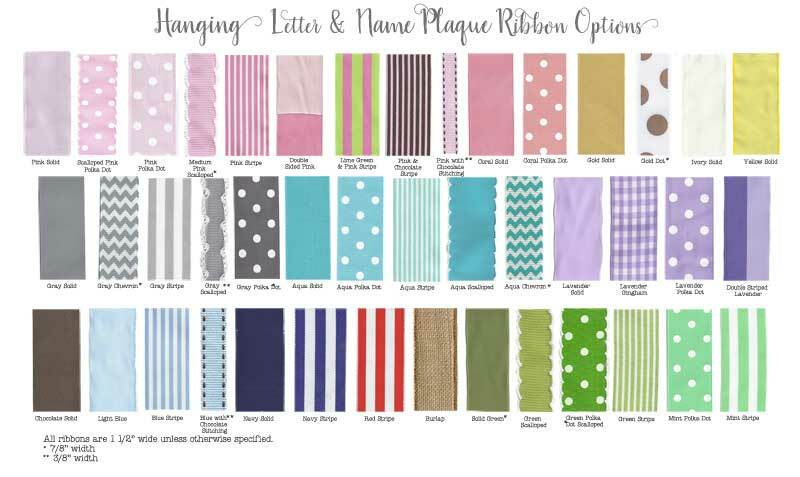 Ribbon choices can be seen below. 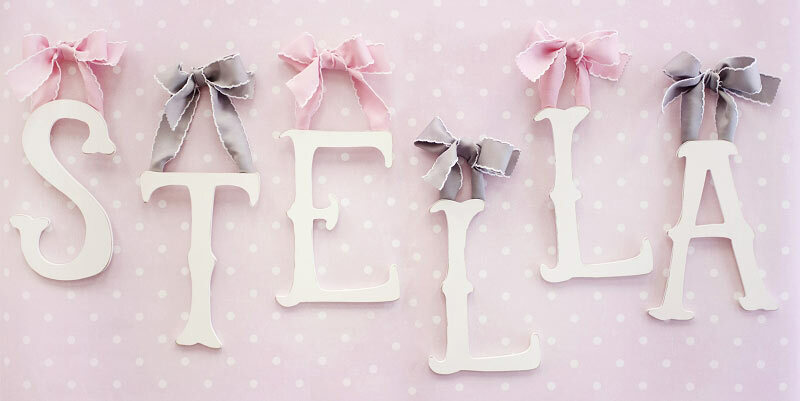 See our wide selection of our nursery letters for your nursery! This letters are gorgeous. The size Is Big, the Bow comes undone but the ribbon Is cute!! 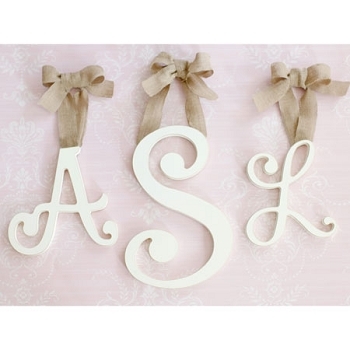 This is the third time I have ordered letters to add to the nursery of my grandchildren. The company is extremely easy to work with. They will send a proof upon request before ordering, which is helpful. I wish there were choices of both Upper an lower case letters. 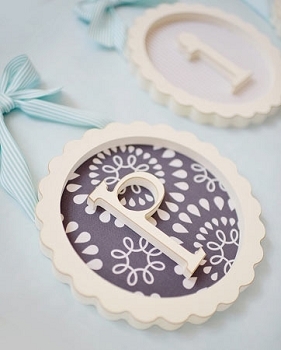 Ribbon is good quality. Exactly what I expected!! Beautifully made!! 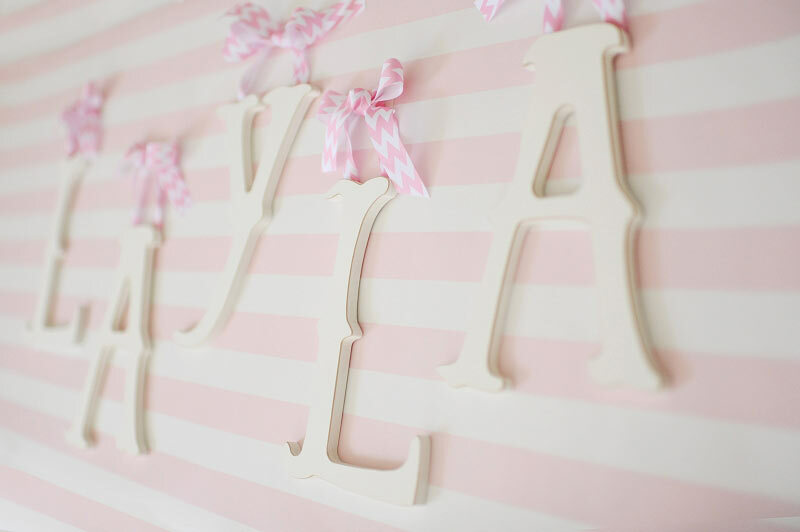 So pretty and perfectly vintage! Great quality produc! Best I've seen!